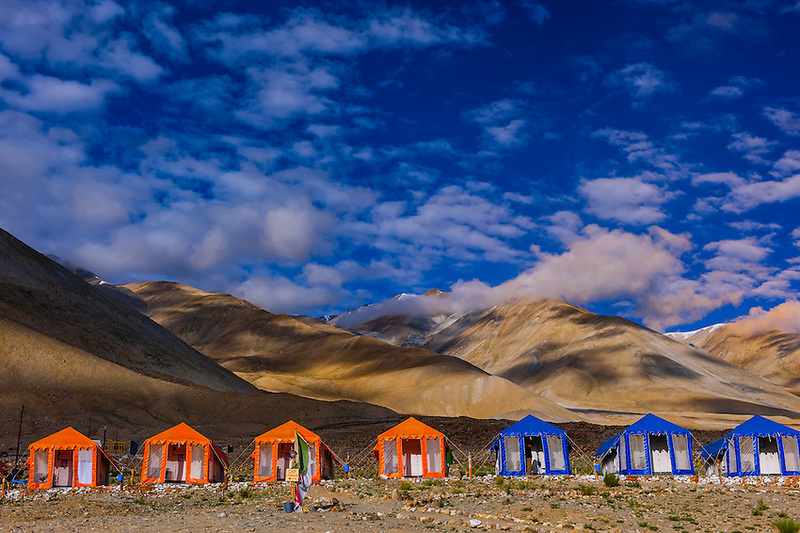 A tent camp along Pangong Lake at 14,000 feet. Pangong Lake is on the border of India with Tibet (China) and is the highest salt water lake in the world. Ladakh, Jammu and Kashmir State, India.